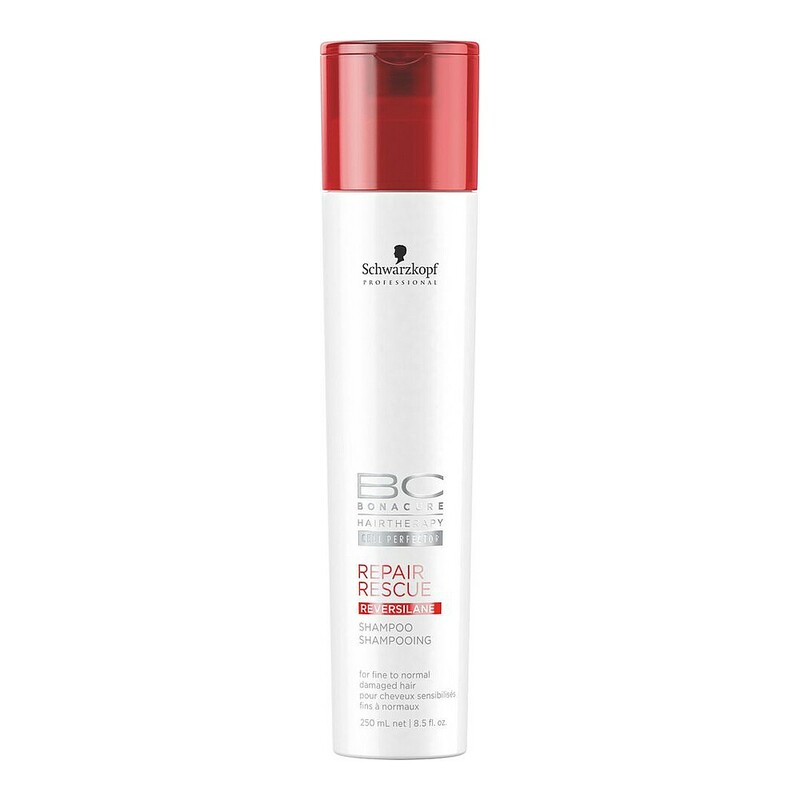 Bonacure Repair Rescue Shampoo is a caring shampoo designed for fine to normal damaged hair. The formula features Cell Perfector and new Reversilane Technology to bring back natural hair movement, strength and elasticity. Repair Rescue restructures the hair, improves inner strength and smoothes the hair surface. Provides care and shine and additional moisture. Hair is visibly transformed and repaired without overburdening.